Tic Tac, the mints brand owned by Ferrero, is creating an experience to showcase its 50-year history and give customers a chance to create their own flavour mix. The "Tic Tac open house" will be a colourful activation in Covent Garden, part of the brand's "Open up" campaign. Guests can choose from 10 flavours to create a bespoke mix. The brand’s research and development team will pick out popular combinations for new ideas. There will also be a "Mixers" cocktail bar where visitors can pick up facts on the brand and enjoy a cocktail inspired by Tic Tac flavours. A GIF booth will encourage people to "shake their Tic Tacs" and share the images on social media to be in with a chance to win a pair of tickets to music festival Elrow. 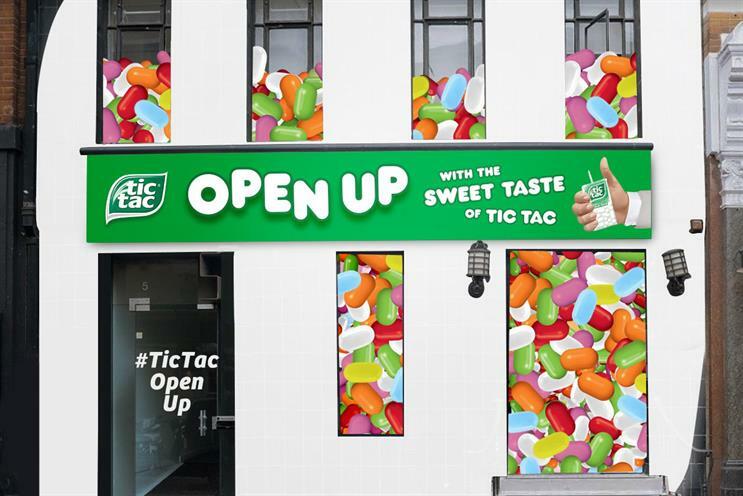 The activation is part of Tic Tac’s "Open up" campaign and will be delivered by PR agency Cirkle. It will run on 15 and 16 June. A spokesman for the brand said: "Tic Tac is a recognised and established brand, with almost 50 years in the market. The event heroes the iconic brand and allows us to showcase the highlights that makes Tic Tac so special."